Around the campground, you will find miles of paths and roads that you and your family can ride along. Bike is clearly the ideal means of finding when Jeløya is to be explored. Here are many narrow roads and paths crossing across Jeløy. Do you enjoy kayaking, windsurfing or kiting? Then there are many places on Jeløya that works as a great starting point. From the beach, at the campsite, you can paddle and enjoy the beautiful Oslo Fjord at sunset. Around Jeløy there are also great opportunities for windsurfing and kiting. Is SUP, or stand up paddling your water activity, or you want to try SUP, we recommend that they follow the facebook group SUP Jeløya. On Framnes on Jeløya, it has established a large Kite environment, which is suitable for beginners and more established surfers. The hiking areas around the campsite are great for those wishing to enjoy both the lake and the forest at one time. The terrain around Nes camping is perfect for a walk. Take a trip to Bjørnåsen or a bath on Heyerdal Beach. Whether on foot or on a bike, the coastal path around Jeløya is a natural experience worth taking. The trail starts at the canal bridge in the center of Moss. Jeløya offers so many experiences and has one of the country's finest coastal attractions. It is advisable to take a bike to Jeløya, simply to cross over several of the attractions on one of Oslo’s biggest and most exciting islands. There are several landscaping areas and nature reserves due to the unique nature. North of Nes, the landscape rises quite vigorously, and from Nes you can look up to Jeløya’s highest tip, Bjørnåsen. Heyerdal beach, Nesbukta and Sørstranda are all beautiful sandy beaches in the immediate vicinity of Nes camping. Long-shore sandy beaches in tranquil surroundings provide great swimming experiences for the whole family. In Moss you will find many beautiful bathing beaches both in freshwater and at the Oslo Fjord. The possibilities should, therefore, be great to find a bathing place that suits you, whether you prefer sea or water, cliffs, sandy beach or a grassy beach. Does it tempt you with beaches, boating, vistas and hiking opportunities, or do you want a cafe and cultural life at Gallery F15? 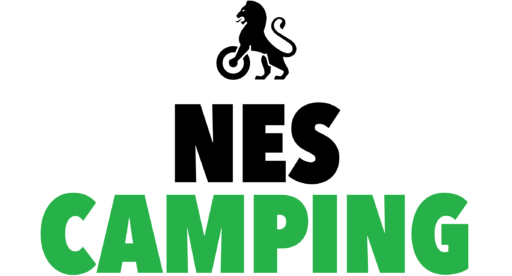 In the vicinity of Nes Camping you and the whole family can experience all that the summer has to offer. The square has distinctive vegetation and scenic areas overlooking the sea gorge. Jeløya is an island in Moss municipality. It is one of the largest islands in the outer Oslofjord, it is actually a peninsula where a canal has been dug between Værlebukta and Mossesundet. It is about a mile long and well 4 kilometers wide, and well 19 square kilometers large. To the east lies the island towards Mossesundet, in the southeast towards Verlebukta. From the southwestern part, Gullholmen is situated with an untouched premiere. Northwest of Jeløya lies Bile and Bevøya, while the north side faces the Sonsbukta. The island's highest point is Rambergåsen, 140.2 meters above sea level. On the island there are several landscaping areas and nature reserves due to the unique nature. The island has beautiful hiking areas with its alleys and extensive trail systems, including the coastal path. The coastal zone is undeveloped around most of the island, so it is possible to walk unobstructed on foot around large parts of the island, where it is not too hilly. There are a number of easily accessible beaches all over the island, so there is almost always a beach sheltered for today’s weather and wind. In our nice kiosk you can buy ice cream, soft drinks and sweets. You can also buy a variety of foods. And we also have fresh baked goods every day. Otherwise, gas and various sanitary ware are sold. Have you forgotten something on the shopping? Do not worry, we in the kiosk can help you.